"Is my child gifted?" That is a question many parents ask. Finding the answer is not always easy because gifted children are individuals. They are as different from one another as non-gifted children are from other non-gifted children. They do, however, have a number of traits and characteristics in common. If you are wondering if your child is gifted, take a look at these common traits and see how many of them fit your child. You can also check for other things, like how quickly your child reached developmental milestones. Even when you are sure your child has many of those common traits and you realize that your child met several of the developmental milestones early, you still might not be sure. In spite of what many people believe, not all parents believe their child is gifted, and parents of gifted children are often unsure or reluctant to claim that their child is gifted. The more you read about gifted children and the concept of giftedness, the easier it becomes for you to recognize whether your child is gifted or not or get the confirmation for your suspicion that your child is gifted. 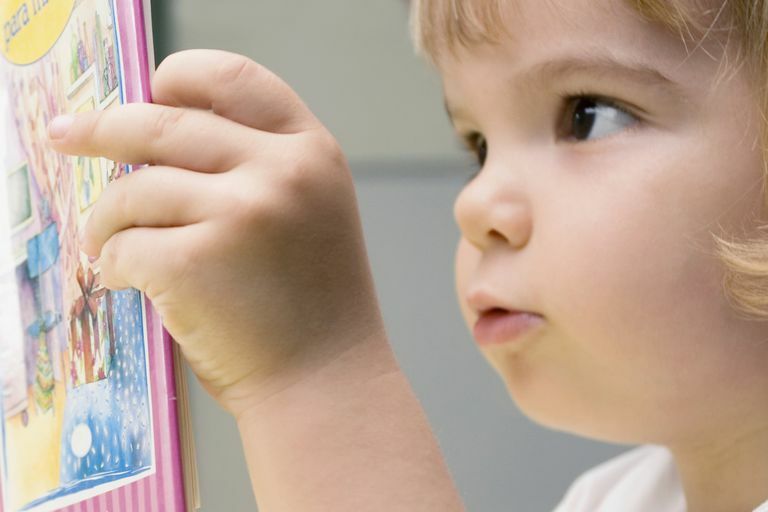 Parents often wonder if their child is gifted when they see evidence of advanced abilities, for example, early reading, excellent memories, or relating well to adults. They can begin to get a sense of their child's giftedness by looking at lists of characteristics. However, it is important to remember that a child does not have to have all of the traits to be gifted. Giftedness tends to run in families, so many of the traits that indicate giftedness are common among extended family members. Parents can look at a sign of giftedness and consider it perfectly normal, average behavior. After all, several family members have the same trait. Parents can also look at a list of traits and just be unsure if their child really fits the descriptions, so it's good to compare a child's development to the average developmental milestones. It's also a good idea to see what is considered advanced development. Many gifted children have one or more "Supersensitivities." A child may get his feelings hurt very easily or he may be sensitive to loud noises or be bothered by the seams on socks. A child may also have excess energy and be in constant motion. It is important to realize, though, that not all gifted children have these sensitivities. Differing Views of the Term "Gifted"
One reason parents, and many others, have trouble understanding whether a child is gifted or not is the conflicting definitions of the term "gifted." Not everyone who uses the terms is necessarily referring to the same set of qualities. Learning about the history of the term and the changes in its meaning will go a long way in helping parents understand just what giftedness is and whether their child is gifted. IQ testing can help parents determine if their child is gifted, although experts recommend that children not be tested before age five and preferably before age nine since results may not be entirely accurate. It is usually not necessary for parents to have their child tested unless it is necessary to advocate for a more appropriate education than what a child is getting. Testing can provide peace of mind for parents who have constant doubts about their child's abilities. Parents of gifted children are often told to stop "bragging" or to "let your kid be a kid" or to stop "pushing." People who don't have gifted children don't understand the issues involved. Gifted kids are often a mystery to their parents, who can be surprised and amazed at what their children can do. Quite often, these parents just want confirmation that what they are seeing is, in fact, what they are seeing, that their child does seem to have more advanced abilities than other children the same age. Of course, then people tell those parents it shouldn't matter. And in some ways that is true. You won't love your child any more or any less if she's gifted or not gifted. But you will gain a better understanding of your child. You will know where to look for help and what kind of help to look for. Parenting books, for example, can confuse and even frustrate parents of gifted kids because the descriptions and the advice given doesn't apply and doesn't work on many (if not most) gifted kids. Knowing your child is gifted means that you know to look for books on parenting gifted children. Knowing your child is gifted also helps you better understand whether the school is providing an appropriate educational setting. Some gifted kids become underachievers because they aren't challenged. Other gifted kids are achieving (getting high grades) but they still aren't being challenged. In both cases, the children can run into problems in school and in life. Knowing your child is gifted can give you peace of mind, help you understand your child, and help you provide the best academic environment for him.